January 8 marks the passing of Melvin Calvin. Calvin was an American biochemist who discovered what would become referred to as the “Calvin cycle” or carbon fixation in photosynthesis. The Calvin cycle deals with the part of photosynthesis that is called dark reactions. A more accurate description would be light-independent reactions. These reactions don’t require light to progress like most photosynthesis reactions and can occur either day or night. They take place in the stroma of the chloroplast and convert carbon dioxide into sugar using ATP and NADPH. There are four main steps to the Calvin cycle. Step 1 is the Grab step. A five-carbon molecule ‘grabs’ a molecule of carbon dioxide to form a six-carbon molecule. Step 2 is the Split step. Using the energy of ATP and NADPH, the enzyme RuBisCO splits the six-carbon molecule into two equal parts. Step 3 is the Leave step. One set of three carbons leave the cycle to become sugar. The other three proceed to the next step. Step 4 is the Switch step. ATP and NADPH switch the three carbon molecule into a five-carbon molecule. This five-carbon molecule starts the entire process over again to Step 1. Calvin used radioactive carbon-14 to follow the path of carbon atoms during each step of this cycle. Prior to this, the general consensus was sunlight acted on the carbon dioxide directly to supply the energy necessary to fuel photosynthesis. Calvin discovered it was the action of sunlight on the chlorophyll molecules that drove the reactions. 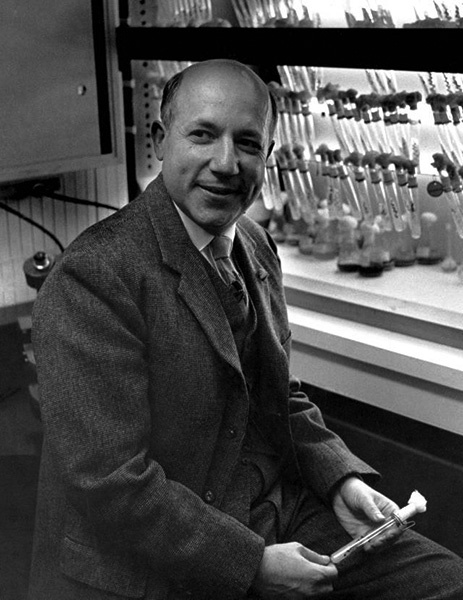 His work mapping the path of carbon through all the reactions involved in photosynthesis earned him the 1961 Nobel Prize in Chemistry. 2002 – Alexander Mikhaylovich Prokhorov died. Prokhorov was a Russian physicist who shares half the 1964 Nobel Prize in Physics with Nicolay Gennadiyevich Basov for their development of quantum electronics and the invention of the maser. A maser is a device that creates coherent microwave radiation. Maser stands for Microwave Amplification by Stimulated Emission of Radiation and is the forerunner of the laser. 1997 – Melvin Calvin died. 1980 – John William Mauchly died. Mauchly was an American engineer who, with J. Presper Eckert, invented the first general-purpose electronic computer ENIAC (Electronic Numerical Integrator And Computer). The computer was built for the United States Army to calculate ballistic trajectories. They also designed EDVAC (Electronic Discrete Variable Automatic Computer), BINAC (Binary Automatic Computer) and the first commercial computer UNIVAC I (Universal Automatic Computer I). 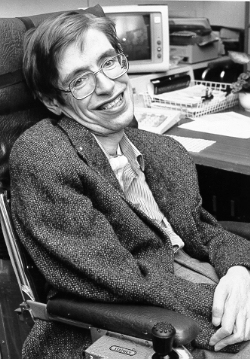 1942 – Stephen W. Hawking was born. Hawking is a British physicist who has made several contributions to cosmology and quantum effects of gravity. His work with gravitational singularities (black holes) predicts energy should be emitted from within black holes. This energy, known as Bekenstein-Hawking radiation, is caused by quantum effects of gravity and predicts how black holes could lose mass and disappear over time. 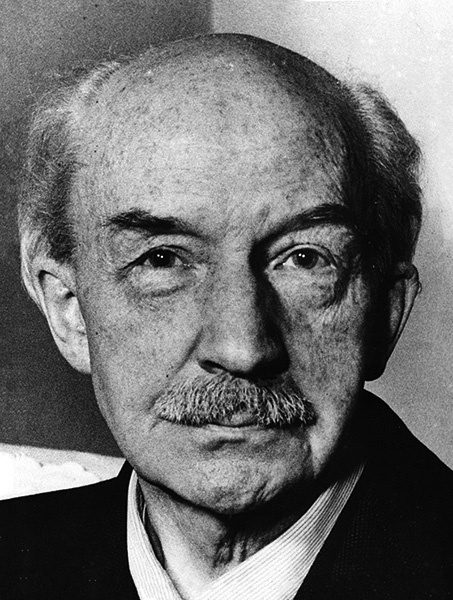 1891 – Walther Bothe was born. Bothe was a German physicist who shared the 1954 Nobel Prize in Physics with Max Born for his work on coincidence or how a particle can act as a wave. He detected electrons passing through two adjacent Geiger tubes at almost the same time to show momentum and energy are conserved at the atomic level. He later used this ‘coincident method’ to determine cosmic rays were really massive particles rather than photons. 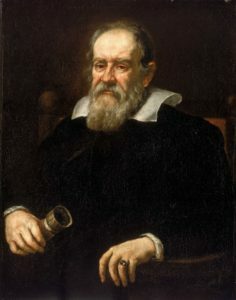 1642 – Galileo Galilei died. Galileo was an Italian natural philosopher who is considered the Father of observational science. He developed several laws of kinetics through careful and repeated experimentation of falling bodies. He was also one of the first to utilize a telescope to observe lunar craters and discovered four moons of the planet Jupiter. He published a defense of Copernicus’ theory where the Earth revolves around the Sun that caused conflict with the Catholic Church who denounced and convicted him of heresy and spent the last part of his life under house arrest. 1587 – Johannes Fabricius was born. Fabricius was a German astronomer and son of astronomer David Fabricius who was the first to observe sunspots. He was using his father’s telescope to observe the Sun as the sun rose in the morning and observed several dark spots on the face of the Sun. In order to preserve their eyesight and still observe the phenomenon, the pair invented the process of camera obscura observation. Camera obscura passes the telescope’s light onto a screen in a darkened box or room and is a common method today to observe the sun during solar eclipses.